In July of 2018, SAEF completed the construction of a 2,000 sq ft playground for Aussenkehr Primary School, the first of it's kind in the region. 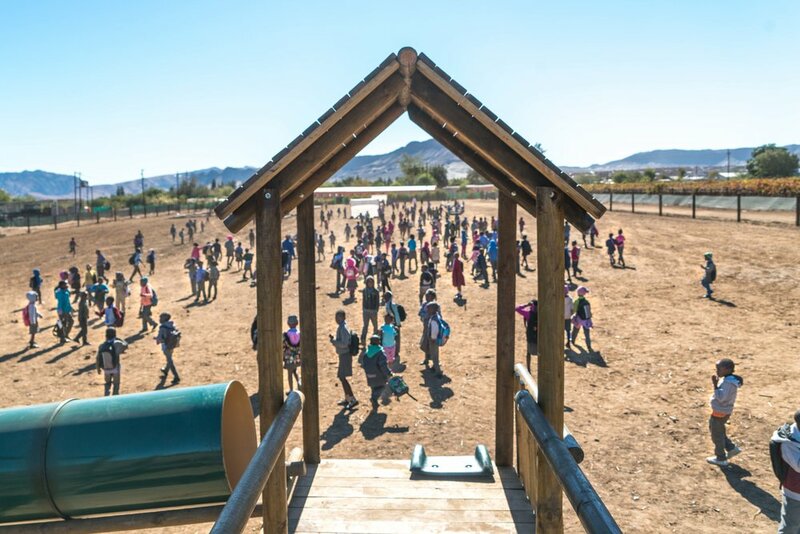 Most of the 800 students, ages 7-13, had never seen a playground before. 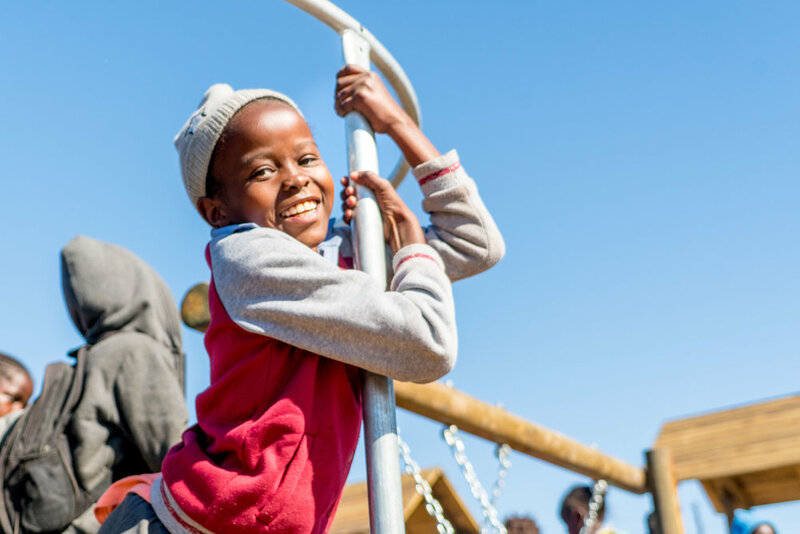 In addition to slides, swings, and climbing equipment, the open space surrounding the playground, including a large soccer field and netball court, provides novel space for exercise and play. The original school yard had no open space to run and play. Similarly, the village these students call home has no open space available to youth. 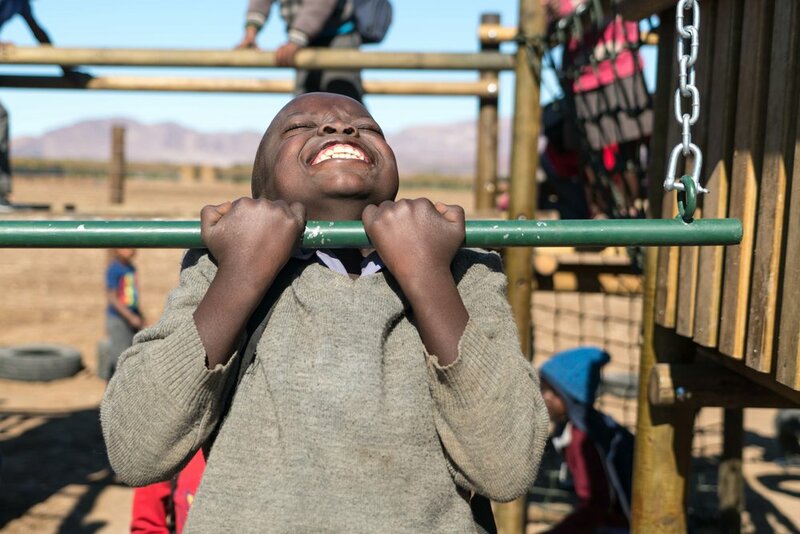 We can confidently say that the students love their new playground and already treasure the creativity, freedom, and camaraderie they can express while playing in their new school yard. This initiative served two primary purposes. First, a safe recreational space specifically for youth will keep children off the streets, where they are in danger of fast moving vehicles, drugs, and even exposure to violence at home. 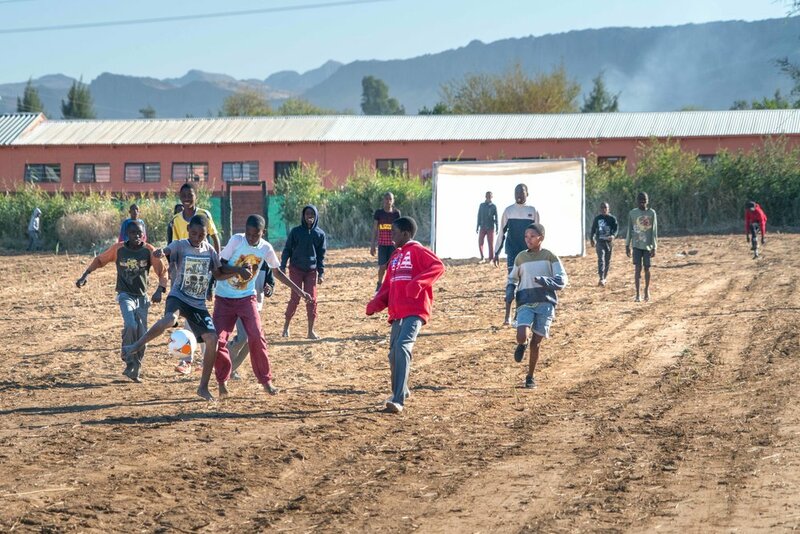 The soccer field gives many of the older students an alternative to visiting the local "shebeens", or bars. Second, the jungle gym and sports fields offer a location for physical education classes and extracurricular sports. 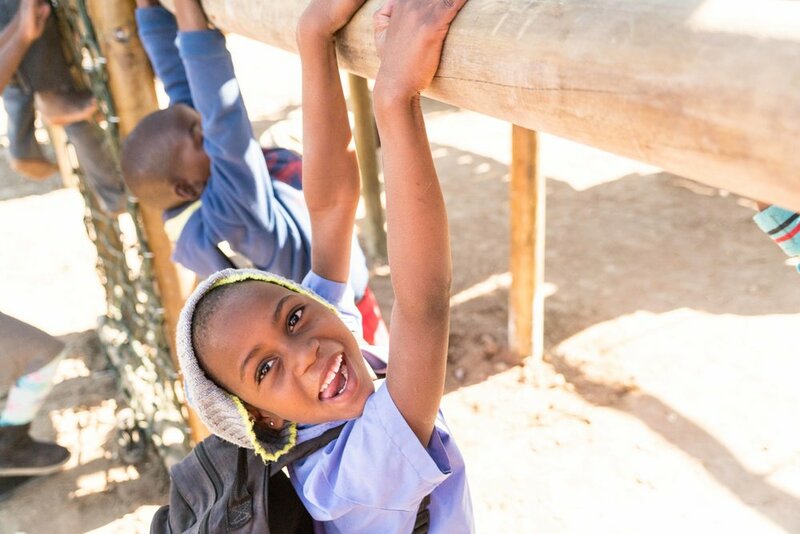 Through active play, students will benefit from development of motor skills, social skills, and emotional development.